Do you struggle to find images for your blog? Do you (quite rightly) balk at the idea of forking out $700 for Photoshop? I write several blog posts every single weekday, totaling perhaps 3,000 – 4,000 words on average. And every single one of those posts needs images. I do not intend to delve into the importance of using images in posts here – but it is important. Extremely important. In spite of the volume of content that I create, I only ever refer to 7 tools and resources for my image requirements. I strongly believe that as a blogger, the following items are all that you need. These particular tools and resources have been picked, replaced and narrowed down over many months. What you will discover below is a wealth of value for any blogger. Oh – and they’re all completely free. Here is a simple fact – as a blogger, you don’t need to pay for images. For starters, there is a problem with most stock photos – they look like stock photos. Unauthentic and unappealing. Furthermore, there are such an enormous number of free images available that choosing to pay is folly in all but the most specific of circumstances. All you need to worry about is properly attributing the images to their respective authors. This is completely normal practice in the blogosphere and carries no negative connotations. The following are the four image resources that I regularly use. 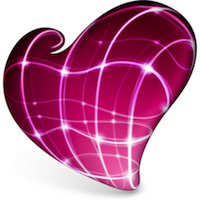 As of August 2011, Flickr was hosting in excess of 6 billion images. There are now possibly more photos on Flickr than there are people in the world (and if there aren’t, there soon will be). So it is fair to say that it is an extremely useful resource for finding images to use on your blog. Compfight is a search engine for Flickr, tailor-made for people seeking images for their blogs. You can filter images by keyword, licence, and other factors. Clicking on a photo takes you through to the Flickr site, where you can select different image sizes and download. I have been using Compfight for a long time now, despite having trialled many other similar resources. I consider it to be the best Flickr search engine available. I carried out a poll of WordPress users recently and discovered that Google Advanced Image Search is the most popular image sourcing tool. However, it is always the second option for me. Why? Simple – Flickr is far more consistent in terms of quality, and returns more relevant results. Whilst Google Advanced Image Search is an excellent backup option (which I probably use 10% 0f the time), people are in the habit of over-optimizing their image meta data in order to rank for certain search terms. This leads to muddled results. Flickr is a far better starting point. There are a few different icon sites out there, but I consider Icon Finder to be the best. You can find icons for all of your favorite brands (everything from WordPress, to Facebook, to Coca Cola) in a huge variety of designs and sizes. The search engine is extremely slick and allows you to filter by size, licence type, and even background color (this can be very useful when you are looking for icons that you can place on colored backgrounds). There is also a wide selection of icons available that require no image attribution. This can be very helpful when providing an attribution would be inconvenient (for instance, an icon to place in your sidebar). This site wins no prices for branding – not only does its name not make a great deal of sense, its domain name is completely different. Putting that confusion to one side, stock.xchng has nearly 400,000 free stock images (and growing) available at the time of writing. If you are looking for that stock image “look”, or if searches of the above resources have borne no fruit (which is a rarity in my experience), this is a great option. 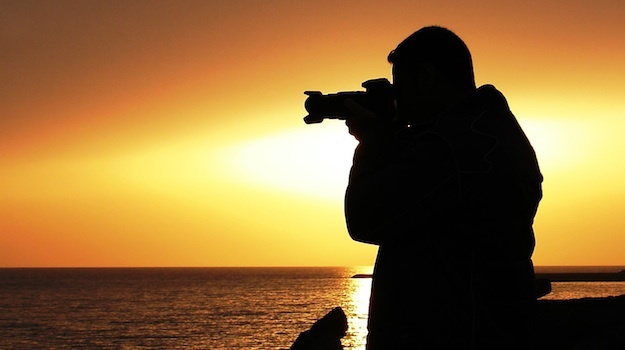 The above four sites should have you well-served in terms of finding images for your blog. They certainly do the job for me. But finding the right image is just the first step. You also need to edit them to suit your requirements and blog design. Furthermore, you may be taking your own screenshots, which will require some editing software to work with. Let me say something clear up front – I am not a talented graphic artist (or a graphic artist at all, for that matter). But in spite of that, I get along well with the following three tools – they’re all I need. 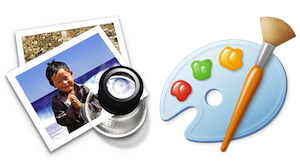 I have a Mac, so I use Preview, but PC users are equally well-served by Paint. Both programs are supplied as standard with their respective platforms. I do the vast majority of my image editing work with Preview, because most of the time, you only need basic image editing capabilities. Preview and Paint are actually rather beneficial in having limited functionality, because it makes editing images all the more easy. If I want to resize or crop an image, I just fire up Preview and get the job done with a few simple clicks. I even use it in images where I might combine graphics in a simplistic manner (which I did for the image you see to the right). When it comes to taking and editing screenshots, Skitch is a great free solution. It allows you to select and take snapshots of certain parts of your screen, and then add simple graphics and text. I use Skitch all the time – you can find examples of its usage in Monday’s post on ManageWP’s groups feature. It is highly intuitive and deliberately simplistic – perhaps to a fault. If it had just one more simple feature, I wouldn’t have any cause to use the next program. 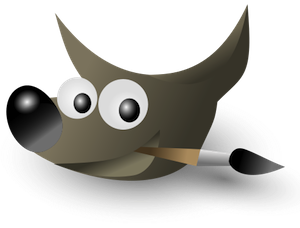 An unusual name, I know – GIMP stands for “GNU Image Manipulation Program”. It is an extremely powerful graphics editing package that offers many of the features that can be found in extremely costly programs such as Photoshop. I typically use it for just one purpose – blurring out particular parts of screenshots that I do not want to be revealed. Examples of this can again be found on the ManageWP groups feature post. However, GIMP has an enormous variety of applications – if you have a requirement in terms of image editing, it probably provides the functionality. Unfortunately it is not particularly intuitive (especially if you are not a graphic designer by trade), but you can hardly complain, given the price tag. There are a lot of resources and tools in the past that I have tested that I do not use on an ongoing basis. Typically, they are simply not as good as the items listed above, or just aren’t quite ready for everyday usage. What you find above is all that I use – nothing more, nothing less. However, you may well use something that you consider to be better than something above. Perhaps you have found a tool that offers additional functionality, or a resource that grants you access to a huge collection of high quality images not available above. If so, please make your recommendations in the comments section! I love Compfight; I even use their WordPress plugin, so that I don’t have to leave my blog to search for an image. If you need to edit an image quickly but don’t have ANY image editing software available on your computer that you are working on, check out Pixlr (http://www.pixlr.com) It’s like a web based Photoshop but better! I agree, Pixlr is pretty awesome! I use it quite often.